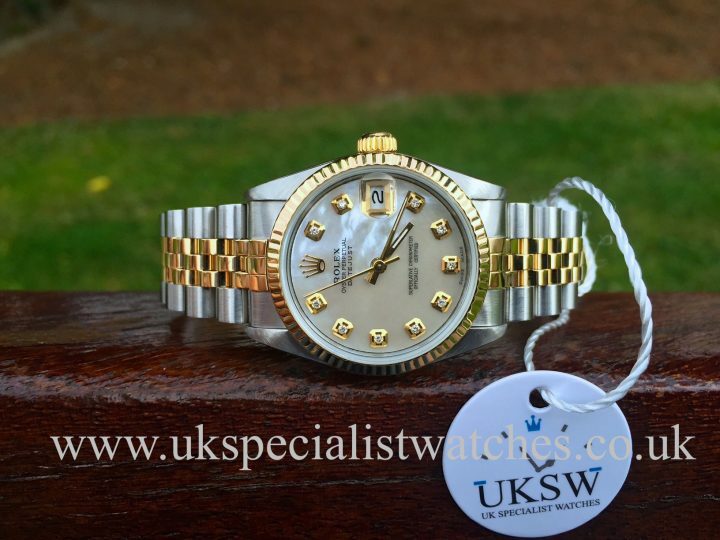 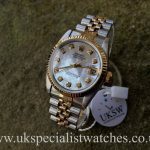 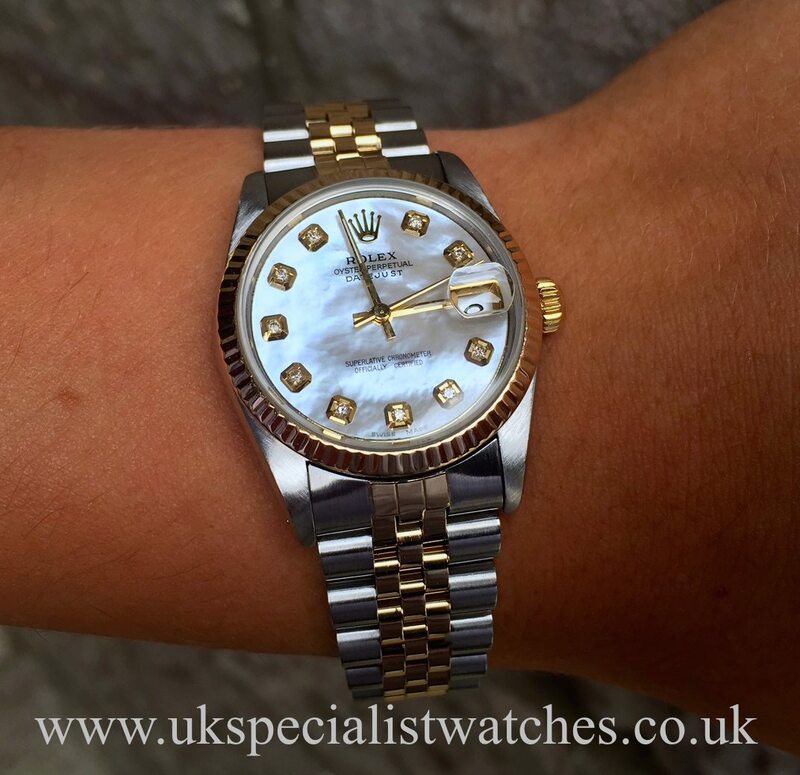 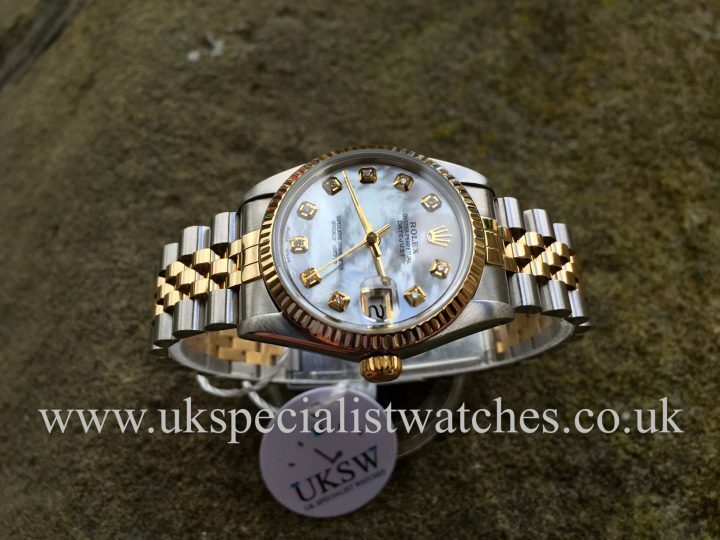 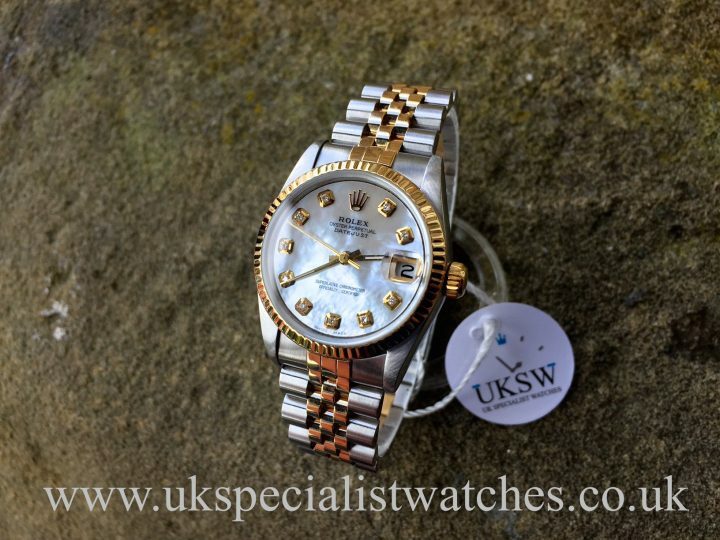 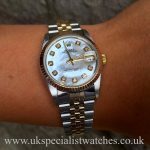 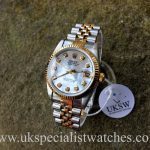 Rolex DateJust Bi Metal 68273 Midsize 31mm made from stainless steel & 18 ct Gold with after set Mother Of Pearl Diamond Dial that looks fabulous when it catches the light. 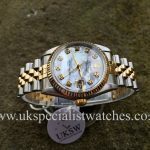 Polished 18ct solid gold futed bezel, sapphire crystal glass. 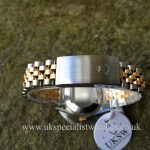 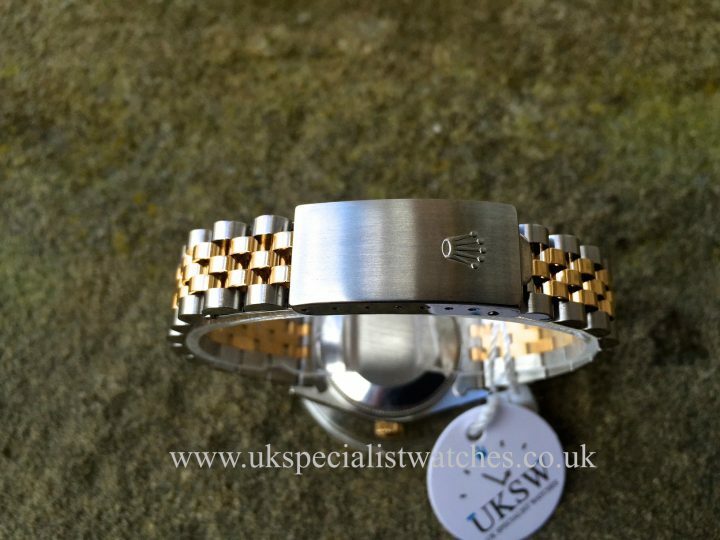 Fitted to a pristine 18ct Gold & stainless steel Jubilee bracelet with double folding clasp. Water resistant to 100m. 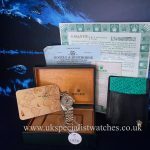 UK supplied new July 1990 and comes complete with box & papers, Rolex service receipt, translation booklet, calendar card. 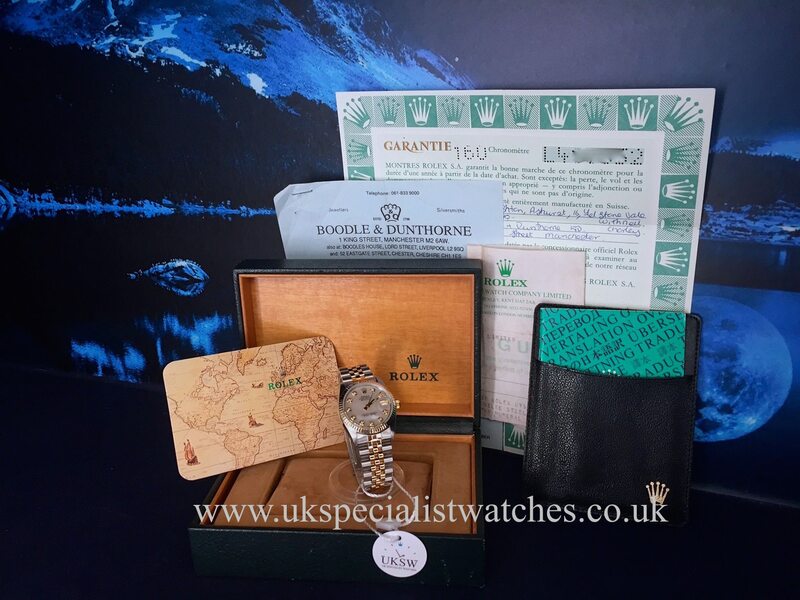 We even have the original purchase receipt from Boodle & Dunthorpe dated 06 July 1990. 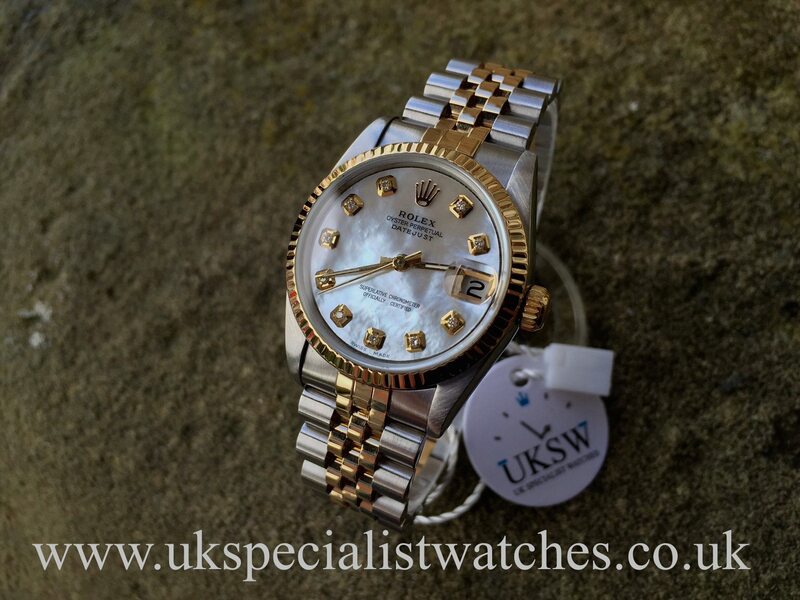 The equivalent model with a factory dial costs over £9000.